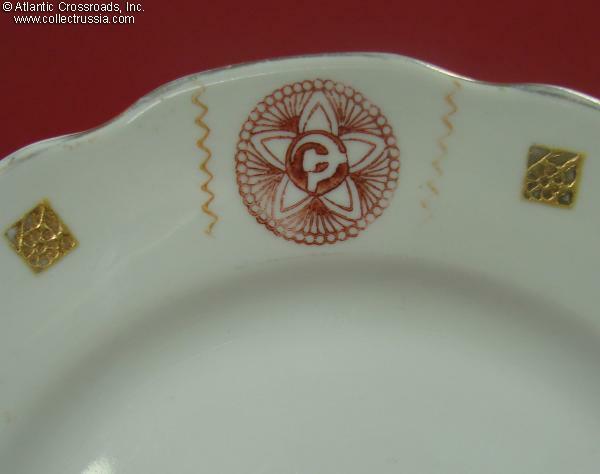 Porcelain Dessert Plate with Soviet Patriotic Motif, Korosten Porcelain Factory, circa 1960s- early 70s. 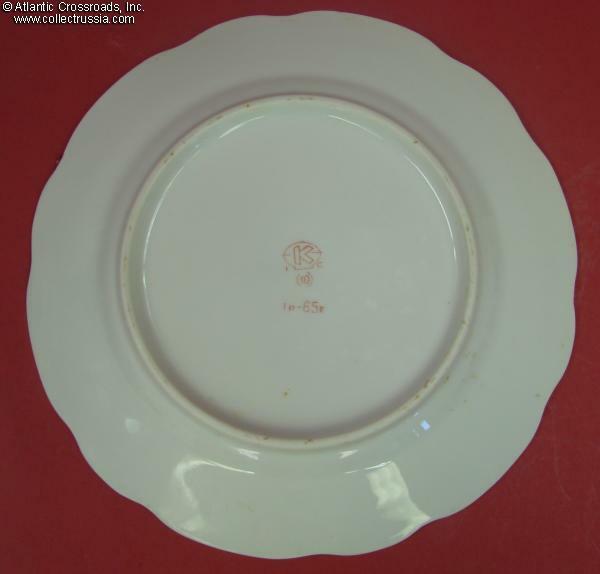 Measures close to 8" (20 cm) wide. 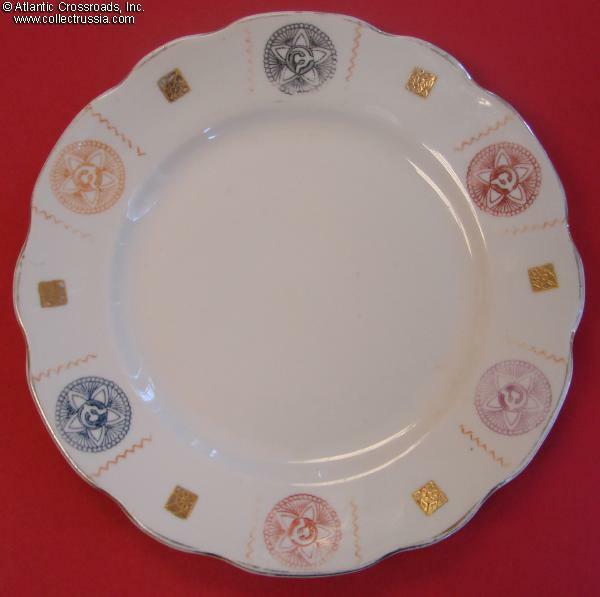 Shows a pattern of stylized stars and gold leaf floral ornaments, gilt border. Note that the stars have a very early, almost Avant-garde feel, whereas the design of the square gold leaf highlights is deliberately modern. 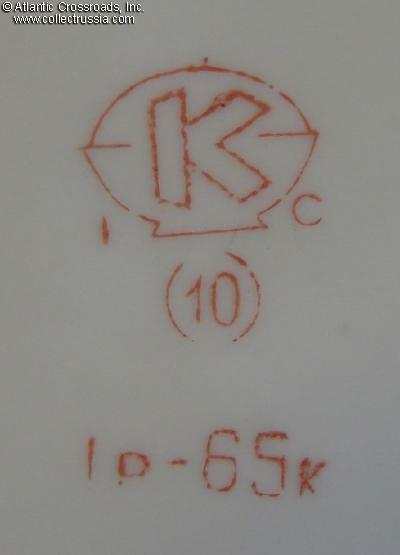 The reverse has Korosten Factory trademark and Soviet era price of 1 ruble 75 kopeks. 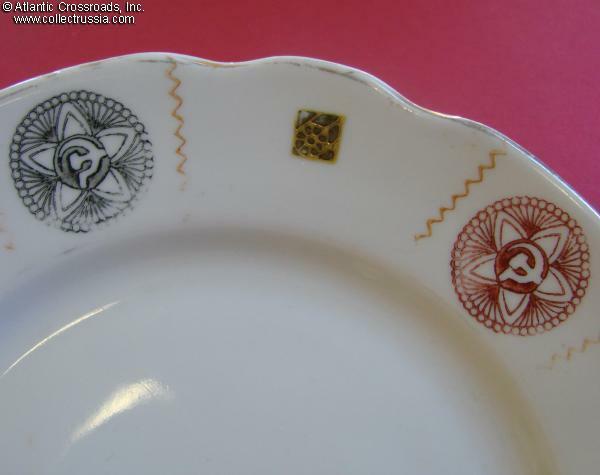 /Trademark #384a in Volume One of "Marks on Soviet Porcelain, Faience, and Majolica, 1917-1991" /. Very good condition. 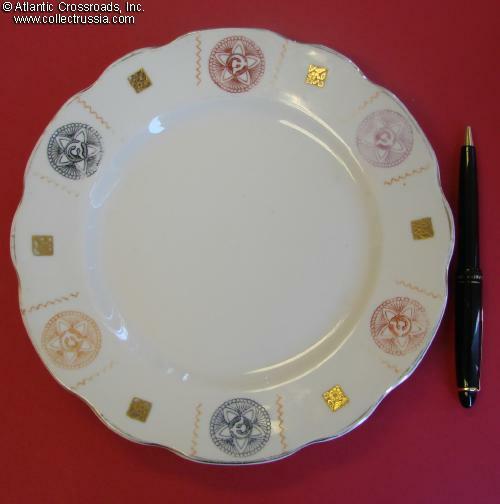 There are scuffs to the gilt border and minor wear to some other elements of the artwork, no cracks or chips.